I’ve written about PhD Parenting a couple of times, but I feel a bit like I do parenting-lite when I hear other people’s stories as I have but one child. How about doing a PhD with four kids at home?! This Post is by Sarah Stanford. As a Youth Pastor and Youth Worker, Sarah provided support for many young people who were self-harming. Driven by a desire to make a contribution at a wider level, she undertook a PhD researching self-harm. Her research focuses on understanding, responding to, and preventing self-harm in schools, churches, and other community settings. You can find Sarah on her website or on Twitter as @DocStanford. I received a lot of well-intentioned advice during my PhD. It turns out I didn’t follow most of it. So here are the rules I broke, and the things that worked for me. I’ve come across very organised people that schedule their pregnancies around their PhD plan. They have the first baby after the data collection, and perhaps add a second shortly after submitting. I didn’t follow this sensible approach. I was pregnant with my first when I started my PhD. I squeezed in the bulk of my data collection in between #3 and #4. It was probably harder the way I did it, but I don’t regret it. Childcare places can book out quickly, especially those on-site at the University. This seems like sound advice, it just wasn’t the path we took. We chose not to use paid childcare, instead we juggled my PhD around my husband’s work. Towards the end we reduced his hours and juggled his work around my PhD. I highly recommend that parents take up offers of help with childcare from family and friends. Unfortunately this wasn’t available to us. Family members worked full-time, we lived in three different areas, and we hadn’t yet established a friendship network to share childcare. Definitely great advice, it just didn’t play out that way for us. Making use of small chunks of time in your day can really maximise your efficiency. Unless you’re like me, and it just doesn’t work for you. I remember taking a stack of papers to the park to read, but I could never hold my eyes on the page long enough because my toddler would be wandering off. I would try to catch up on the literature while the kids were nodding off to sleep beside me, only to find myself reading the same paragraph repeatedly wondering what it even meant. The reality for me is that I work best with longer working sessions. It takes me a while to get into things, but when I’m in – I’m in deep. So I need to make time to allow my brain to do good thinking work. Seriously, people. Put your order in for a child that sleeps 12 hours straight from newborn. Ummm… yeah, didn’t happen in my house. But hey, breastfeeding through the night is biologically normal and a preventative factor against SIDS. It’s not all bad. I would do this at times, but I often found my best work was in my own house. It was noisy, and they did interrupt, but we tried to teach them that mummy needed to work. I was given very sensible advice about how to collect data in the most simple, efficient manner possible. In Psychology, that could mean a University student sample or recruiting online participants. Instead, I followed my passion and recruited eight schools to take part in my main research project. 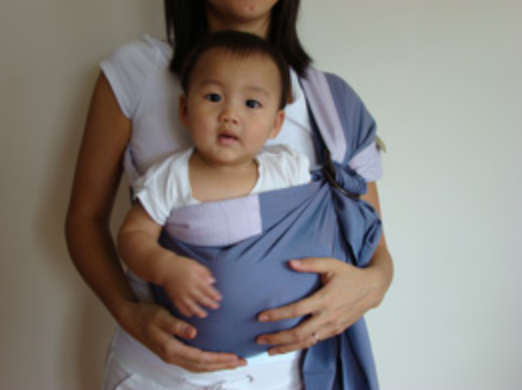 Invest in a good quality, supportive carrier that is comfortable for both you and baby. Join your local sling meet to find out how to use it. It makes it so much easier to work while keeping baby settled. One thing I’ve learnt as a parent is that everyone parents differently. Do what works for you, and follow your own instinct. If things aren’t working, read online, ask other parents, and experiment with different approaches. Doing a PhD is a massive undertaking, but the project can get increasingly bigger if it veers off course. Set clear goals of what your final thesis will cover, and how each study fits together, so that you can maintain productivity even during slower working periods. I did my thesis by publication, and there were times I doubted this decision. Responding to reviews, re-writing work multiple times, and re-formatting for different journals can be very time consuming. However, I felt it saved time in having to write for the thesis and then re-write for publication. My fourth and final paper from my thesis was published a few months after graduation, so now my PhD feels properly “finished”. Spend a day each month doing a massive cook up and fill the freezer. That way you can enjoy an easy meal with the kids without spending time cooking and cleaning up. Most of the time during my PhD I didn’t quite know why I was doing it, other than it’s what I felt called to do. Sure, I believed that my research might actually help people. But when staring down the barrel of a hard day’s writing while the kids scream “Mummy” in the background…. yeah, nothing felt particularly inspiring. But I Did It Anyway. Sometimes you just gotta do it.